Santa Anna issues orders for the assault to begin on the following day utilizing four assault columns and one reserve column. A messenger arrives at the Alamo compound with the grim news that reinforcements aren’t coming. Travis gathers his men and informs them of their options. Popular legend has it that this was the moment when Col. William Barret Travis, Commander of the Alamo forces, drew a line in the dirt with his saber and asked those men who were committed to defending the Alamo to the death to cross. 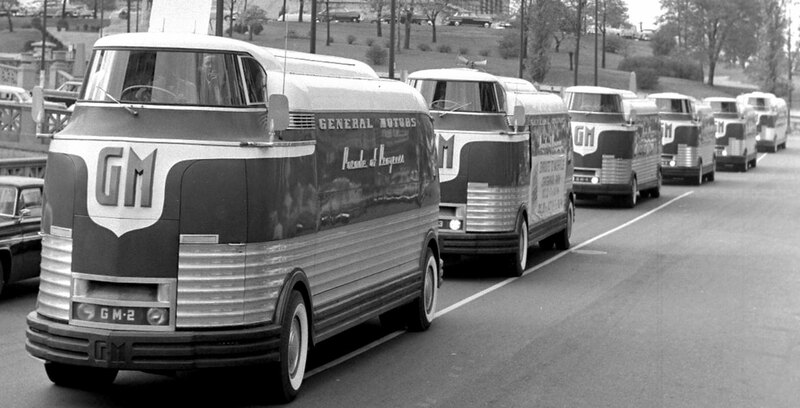 The General Motors Parade of Progress goes on display at Lions’ Park, complete with Aerodome tent and a fleet of 12 Futurliners.